Reach Safe your Destination with Best Bus Rent Company in UAE. Bus, Minibus and Minivan Rental in Dubai. Our first and last responsibility provide healthy & safe Transportation in Dubai, luxurious buses in Dubai, bus rental in Dubai, school buses in Dubai, Extensive Selection, Tourism Coaches, Our team take care of it. We are following the international laws in our companies related to the health and safety of the company. We are caring for our customers and for our staff too because we think that they are our responsibility. Our employees are our power and without their motivation, we cannot work. Their health and safety is the major department in this regard. 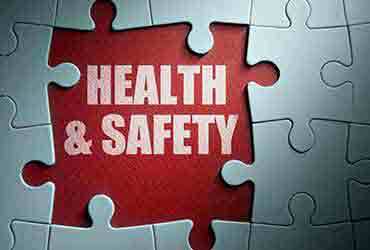 We have the accurate health and safety training plan which ensure the best health of staff in the case of emergency. This is also helpful for the customers we are dealing with because the emergency can be of any type. Everyone in the office has to know the health needs of them. They should never try to harm others and to themselves when they are on duty. If they are not feeling well in the first place they should ask for an off and go to see the doctor. If they are on duty they should take the safety measures in case of an emergency. Also, they should cooperate with each other in case of emergency and ask the ambulance. When it comes to management staff they should never do negligence when it comes to health and safety of the staff. They are responsible for all the staff either that is offsite or onsite. They have to give the proper safety measures because if any mishap occurs they will be accountable for it. Also, they have to make some certain rules for the company and with the time enhancements in those rules should occur. Our company is working well and management is taking all the needed steps in this regard. Our onsite staff is really important for us because they are always on road and they need a lot of care. Most of the time it’s not your mistake but the mistake of others that you have to face. We care for our onsite staff in any way and we tooled them with the first aid kits so that they can care for themselves. On the other hand, we are giving them the facility of monthly checkup because that is very important. Our safety terms are very strict too so that our staff can stay healthy and give its services with their sound mind and heart. We are on the other hand providing the chance for the holiday and take them with us for some physical activities so that they can stay healthy. This also changes their mind from work and driving is not an easy task so we are taking more care of them. We are providing them with health insurance too. This also can cater to the needs of our staff and increase our respect. Public transportation poses a higher risk of safety and security since there happen to be more passengers in one car. The problem becomes worse in developing countries, because of the lack of suitable and integrated approaches.so swift Transportation in Dubai help to reduce this risk to provide the best transportation facility that is the safe and luxurious.this company is also providing the School buses in Dubai for the safe journey of the student.